With more players than some of the greatest leaders of our world have had armies, Wargaming have a formidable force in the name of World of Tanks – one of the most successful applications of the free-to-play formula, and now an upcoming console version for those who haven’t yet succumbed to the MMO’s charm on computers. As World of Warplanes and Warships slowly emerge on the horizon, it’s the perfect time for the famous tank-buster to expand its territory, and with a new platform comes a raft of changes that prove that this is more than a simple re-tread. One of the biggest differences will undoubtedly be the control scheme, as it’s now been adapted from the mouse and keyboard layout, and it comes across a far more natural fit than you’d originally think. There may be those who feel the keyboard and mouse set-up is more appropriate, but as someone who always opts for his trusty Xbox controller when playing titles on the PC, it looks like they’ve done a great job of porting the action over and making the controls feel natural – the ability to control the camera with the right stick is of particular interest to me as my experiences with World of Tanks on the PC are often made worse by my panicked mouse swipes whenever I come under fire. With the larger screens that console players are more used to comes a much larger HUD, which takes up far more real estate on the screen than it did before, with the map in particular showing far more information without obstructing the ensuing action. Admittedly, it may be useful if there’s a way to customise the HUD to make it slightly smaller, but after a few minutes it felt like a comfortable fit, and did a great job of making sure that we knew exactly what was going on at all times – vital in a title where getting the drop on your opponents is all-important. Adding to this is the much wider colour-palette that does its part to make the action look a lot brighter and makes it easier to pick out enemies in the distance. While I couldn’t really distinguish if the graphics as a whole are markedly better than what I’ve played on the PC – even though its made to work on low-end spec devices – the advantage of having a unified look will probably do its fair bit to lower the amount of lag and means things aren’t slowing to a crawl during the more intensive battles. Though I didn’t get to see the micro-transaction system in action on the Xbox, I was told that if anything, it was easier and simpler to implement and use than I’d think, with the process streamlined for consoles. In fact, the entire micro-transaction structure is about to be altered with an emphasis on cosmetics and incremental alterations rather than the “pay to win” mentality that many attach to the blockbuster MMO. Calling their new strategy “free-to-win”, all of the payable options that could be seen as giving players an unfair advantage on the battlefield are being removed. Instead, players can pay to customise their tanks and purchase new ones, with things like skins, premium tanks and upgrades that don’t tip the balance of battle in the buyer’s favour now being the focus of the micro-transaction revenue. Those who don’t want to pay don’t have to either, as they can purchase all of these with in-game gold earned from victory rather than credit card details, so it’s fully possible – if slower – to reach the end of a tech-tree without taking out your wallet. This change is multifaceted, with Wargaming keen to shift the perception that he who pays wins, as well as expanding the fan-base and making it easier to enter the coveted eSports scene. A free-to-play MMO comes across as an odd duck on a console like the Xbox 360, and with Microsoft often keen to keep content locked off for those who don’t pay for the LIVE service, Wargaming are looking to tempt players over to Gold, as those on the free account (formerly known as Silver) will get a seven day free trial to see what all the fuss is about. Those who do subscribe – or those who already have Gold – will get regular free updates, with the intention to match the PC version in terms of how often updates and patches will hit the system. 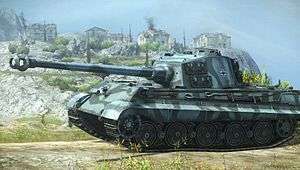 When World of Tanks takes to the Xbox, there’ll be around sixty tanks available at launch, with that number primarily consisting of American and German tanks, though one of the first planned updates that’s coming soon after the game’s released will soon add some British tanks into the mix. With frequent updates, the 360 version of World of Tanks will have every tank that’s already available on the PC, though there wasn’t a given roadmap of how long this process would take. With 46 million Xbox LIVE subscribers as of this April, and Wargaming hitting an equivalent number back in December, the amount of potential World of Tanks players is looking to double as soon as the tank-’em-up hits Microsoft’s sophomore console. 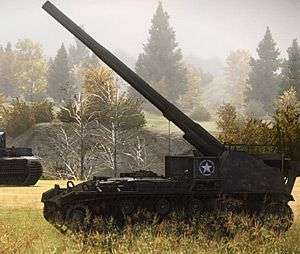 With the addition of World of Warplanes and World of Warships on the horizon, the united currency system that will launch as soon as Warplanes does, and the upcoming mobile World of Tanks Blitz, it’s looking more and more like Wargaming are about to make a concerted attack on your spare time. It’s probably best to wave the white flag.